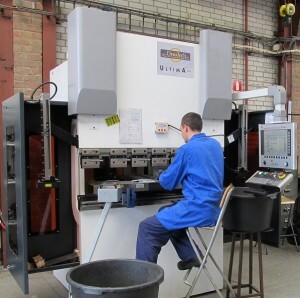 Lino has recently acquired a new CNC controlled press brake with which we can better serve our customers. It is a DeraTech type Ultima Plus 40 ton with 4 CNC axes. The fold length reaches a maximum of 1500mm. A LazerSafe light curtain with a dual beam laser has been installed to ensure safety.